On this 95 degree day, you may want to think about replacing your plants with more eco-friendly choices that will require less water each week. Some plants require water almost everyday. You don’t need to replace all of these plants, especially if they are your favorites. But you can substitute many of these problem drinkers with attractive drought-tolerant alternatives, that will require less watering year round, which is a great green step. Here are some examples of plants that require more water to stay away from, and some better choices. 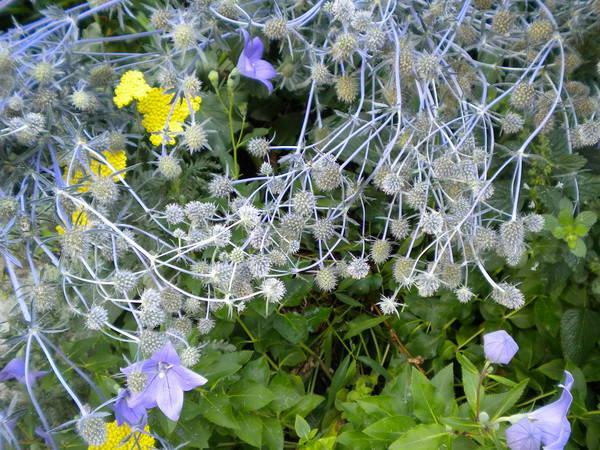 You can also consider replacing some exotic plants with groups of native plants that will tolerate and thrive in your area’s year round weather conditions. Native plants are hardy, drought resistant, low maintenance, and will save you time and money by reducing the need for pesticides, fertilizer, and water. However, not all introduced species are bad garden choices, and some will adapt very well to your area, so you’ll need to do some research. A big bonus to planting a variety of native plants? They’ll provide a habitat for a variety of your favorite native wildlife, including birds and butterflies. Today’s Green Living tip falls into the Water Conservation category… recycle water by adding a rain barrel! Adding a rain barrel to your landscape is a pretty simple project that can be completed in a single day. Did you know a typical 1/2″ rain storm will fill a 50 gallon rain barrel, while a 1″ rainstorm produces 1/2 gallon of water per square foot of roof area? That’s a lot of water to recycle, and lot less water you’ll be paying for from you local water authority. Rain Barrels come in all shapes, sizes and colors, and the uses are limitless — you can attach a standard garden hose to your barrel, or you can attach a soaker hose. You can also use your rainwater in your watering cans for your containers and pots. Because we love added bonuses here at GardenWise — here’s a good one: rain barrels reduce the amount of water around the foundations of your home. 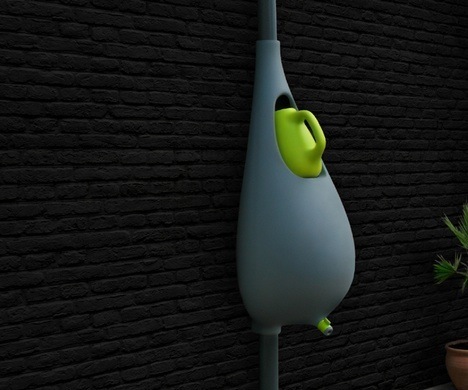 A company I just started to work with, Gutter Supply, has a lot of options to choose from that will allow you to imagine how nicely you can incorporate a rain barrel into your landscape design. Green Living Tips – Rain Barrels! Landscape Architects have been on the cutting edge of combining sustainable and green trends with land use planning for decades. Now there are numerous affordable green garden steps you can take in your own garden spaces that will greatly impact our environment. Today our Green Living tip falls into the Water Conservation category; recycle water by adding a rain barrel! Rain barrels come in all shapes, sizes and colors, and the uses are limitless — you can attach a standard garden hose to your barrel, or you can attach a soaker hose. You can also use your rainwater in your watering cans for your containers and pots. Because we love added bonuses here at GardenWise — here’s a good one: rain barrels reduce the amount of water around the foundations of your home! Adding a rain barrell to your landscape is a pretty simple project that can be completed in a single day. Did you know a typical 1/2″ rain storm will fill a 50 gallon rain barrel, while a 1″ rainstorm produces 1/2 gallon of water per square foot of roof area? That’s a whole lot of water to recycle, and a lot less water you’ll be paying for from you local water authority. There are many rain barrel options to be found at garden centers an online. A company I work with, Gutter Supply, has a lot of options to choose from that will allow you to seamlessly incorporate a rain barrel into your landscape design. If you think it’ s unsightly to have a barrel in your landscape, keep in mind it’s pretty easy to design a hidden area for your barrell, such as this bamboo structure in a garden corner. On Tuesday we wrote about reducing your lawn areas by half, and yesterday we blogged about the importance of adding trees to a garden space. Today our Green Living tip falls into the Water Conservation category… recycle water by adding a rain barrel! 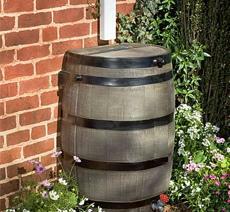 Adding a rain barrell to your landscape is a pretty simple project that can be completed in a s ingle day. Did you know a typical 1/2″ rain storm will fill a 50 gallon rain barrel, while a 1″ rainstorm produces 1/2 gallon of water per square foot of roof area? That’s a lot of water to recycle, and lot less water you’ll be paying for from you local water authority.